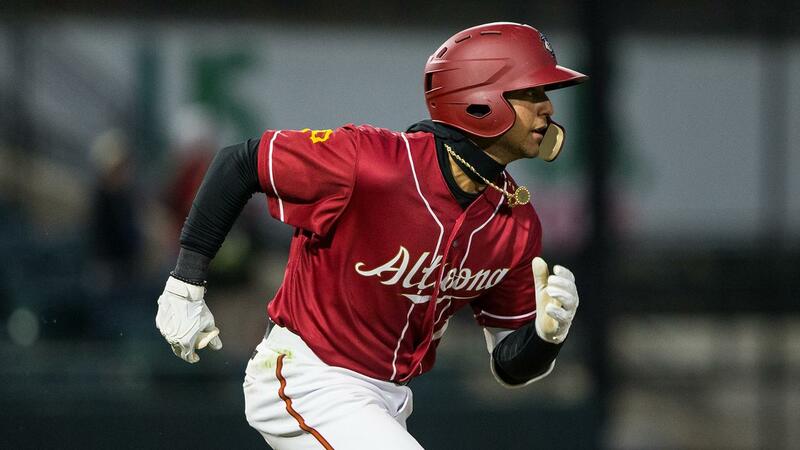 CURVE, Pa. -- The Altoona Curve led early but four solo home runs lifted the Harrisburg Senators to a 4-2 comeback win on a chilly Monday night at Peoples Natural Gas Field. Curve starter James Marvel held the Senators (10-2) scoreless through the first three frames while stranding five runners before his offense jumped out to a lead on Harrisburg's starter Wil Crowe. After Jared Oliva 's one-out double in the third, Stephen Alemais drove him in with a single to right field and Jerrick Suiter added a sac fly to center to give the Curve (6-5) a 2-0 advantage. Harrisburg answered in the fourth when Chuck Taylor ripped a solo homer to right off Marvel. Two innings later, Rhett Wiseman tied the game, 2-2, with a solo homer to left-center off Curve reliever Yeudy Garcia. Marvel labored over 82 pitches and was limited to four innings of work but held Harrisburg to one run with six strikeouts before giving way to the bullpen. Meanwhile, Crowe settled in after giving up two third-inning runs to work five innings with six punchouts. The Senators broke the tie in the eighth when two of their hottest hitters, Drew and Wiseman, tagged Curve reliever Vicente Campos (Loss, 1-1) for a pair of solo home runs. Ward led off the inning with a line-drive shot to right and two batters later, Wiseman blasted his second homer of the game, a towering, solo dinger to straight-away right, to extend the lead to 4-2. Mario Sanchez (Win, 2-0) was dominant in relief of Crowe, striking out seven batters in four hitless, scoreless innings to close out the game. The right-hander walked the first batter he faced but retired the next 12 in order to close the game. The Curve and Senators will play the second game of a three-game set on Tuesday at 6 p.m. at PNG Field. Right-hander Dario Agrazal (1-1, 6.75) gets the ball for the Curve while the Senators will turn to righty Erick Fedde (1-0, 4.09). Gates will open at 5 p.m. prior to Tuesday's game and will feature the first Two-for-Tuesday of the season, presented by Atlantic Broadband. Fans will be able to cash in on two-for-one specials on tickets, hot dogs and small popcorn. Tuesday will also give fans an opportunity to trade in unused tickets from previous seasons for a grandstand or bleacher thanks to the Nevers Waste Old Tickets program. For tickets or more information, visit AltoonaCurve.com, call 877.99.CURVE or stop by the PNG Field box office.